Carphone Warehouse has confirmed that it will offer a number of new handsets which we saw launched at MWC 2012. 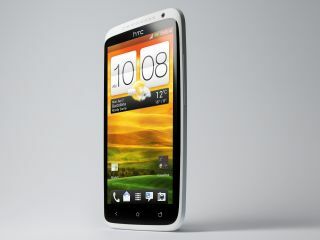 The big hitting, quad-core HTC One X is set to land in April alongside its suitably well equipped mid-range brother the HTC One S. Carphone Warehouse will complete the One range with the HTC One V arriving slightly later on the scene, towards the end of April/start of May. Update: Carphone Warehouse has now confirmed that the HTC One V will be available in late April, although we were not told the reason for the delay. The budget friendly LG Optimus L3, the Android Gingerbread toting baby of LG's new L-style range, will be available from May, but there is no sign of the mid-range Optimus L5 or high-end Optimus L7 yet. Update: Carphone Warehouse has responded: "At present there are no plans to stock the LG Optimus L5 or the LG Optimus L7." Come May you'll also be able to get your grubby mitts on the stylish Sony Xperia U and the Windows Phone packing Nokia Lumia 900. Carphone Warehouse has also confirmed that it will stock the Samsung Galaxy Ace 2, but it did not provide a release date for this handset. Update: The Samsung Galaxy Ace 2 will be available from the Carphone Warehouse in May. TechRadar has contacted Carphone Warehouse to find out why the One V is delayed, where the Optimus L5 and Optimus L7 are, when we can expect to see the Galaxy Ace 2 and what price the handsets are going to flaunt. We'll update this article once we've heard back. Update: All handsets are currently available for customers to pre-order and Carphone Warehouse says it will not be championing one particular handset.